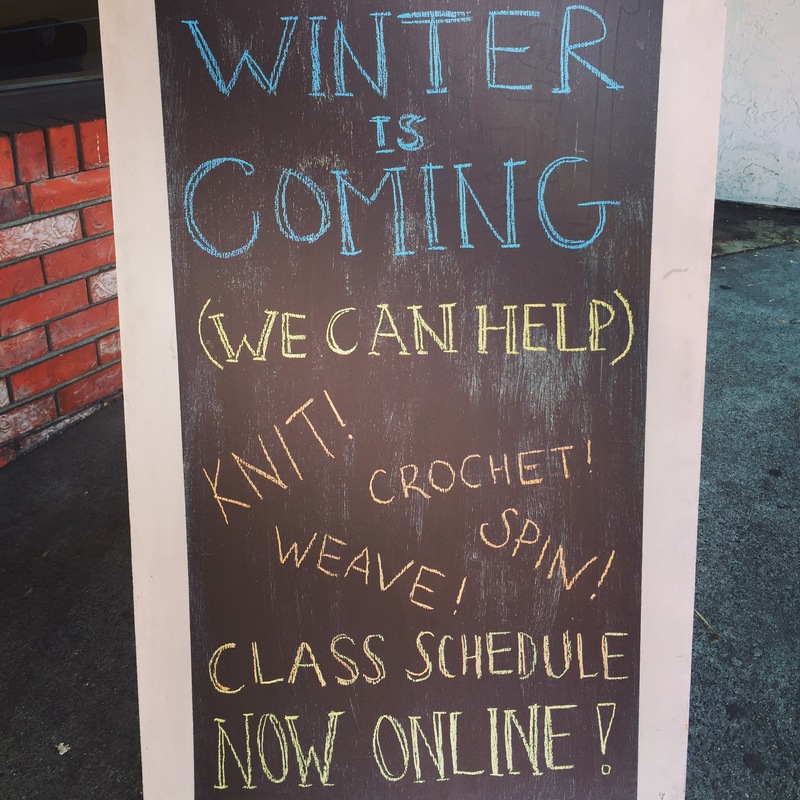 Winter Is Coming… Learn to Knit! Our Fall Classes are now listed and filling up! Learn to knit, crochet, spin or felt! Beginner knitting classes on Mondays starting Sept 12th. Or bring your own project to learn new skills at our Beyond the Basics classes on Thursdays starting Sept 8th. Beginner crochet workshop happens on Saturday Sept 10th from 3:30-5:30pm. Learn to needle felt on Sunday Sept 4th from 3:30-5:30pm. Register by calling us at (604) 255 2577 or stop by our store. More information and additional classes and workshops can be found here.